Further, the Private Sector Organisation of Jamaica (PSOJ) wants the findings referred to the finance ministry, in keeping with the Financial Administration and Audit Act, "to see what, if any, sanctions should be imposed". The recommendations by the PSOJ come in response to the report by the Auditor General's Department (AGD) that Petrojam could not account for 600,684 barrels of oil valued at $5.2 billion over a five-year period and that the company spent US$21,000, or approximately J$2.6 million, to host two "surprise" parties for former energy minister Dr Andrew Wheatley and then chairman of the entity Perceval Bahado-Singh. "The toxic environment and the parties are also disturbing, but in terms of hard, cold facts, if $5 billion of fuel is missing, somebody should be investigated and prosecuted," Howard Mitchell, president of the PSOJ, told The Gleaner. "That is taxpayers' money," Mitchell insisted. 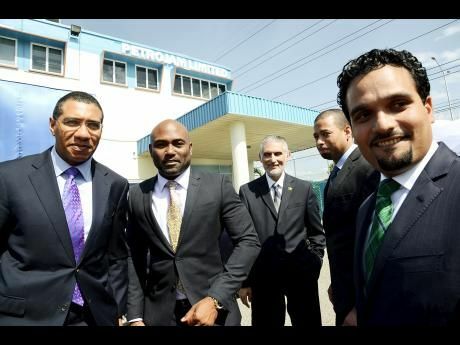 Yesterday, the Andrew Holness administration sought to assure the nation that there would be "decisive action" arising from the findings of the AGD. Robert Morgan, director of communications in the Office of the Prime Minister, revealed that Holness, the prime minister, was studying the report and planned to hold consultations "with the relevant persons and entities". "What we can say to you is that there will be definitive action, and there will be definitive comment on what has been reported on by the auditor general. And we are very sure that when that takes place, the people of Jamaica will be confident in the responses and what those additional actions will be," Morgan said. "It is important that we have a process that ensures that when decisions are made, they are made consciously, they are well-reasoned decisions, and they are decisions that can withstand scrutiny." However, Morgan could not give a timeline for when the analysis and consultations would be completed but said that he was confident that the Government would take additional steps to ensure that "confidence can, once again, be reposed in the functioning of Petrojam". Mitchell said that the PSOJ was also studying the report by the auditor general but asserted that "on first glance, it is apparent that nobody was in charge". "It is apparent that the requirements of the Public Bodies Management Act and the Financial Administration and Audit Act were not being observed. It is also apparent that simple governance rules were also not being observed, with the absence of meetings and the paucity of the minutes," he pointed out. The PSOJ head said that the report underscored the need for comprehensive public-sector reform. "It is of grave concern to us," Mitchell said. The AGD report painted a picture of a free-for-all at the state-run refinery, including breaches of the Government's procurement guidelines in the award of two contracts, totalling $31 million, to one consultant. Andrew Holness meet Myron Walwyn.